Posted in: 1 Pageant Pages, 2 Shout-out-Looks. Tagged: Angelica Alita, Bb. Pilipinas 2016, Bb. 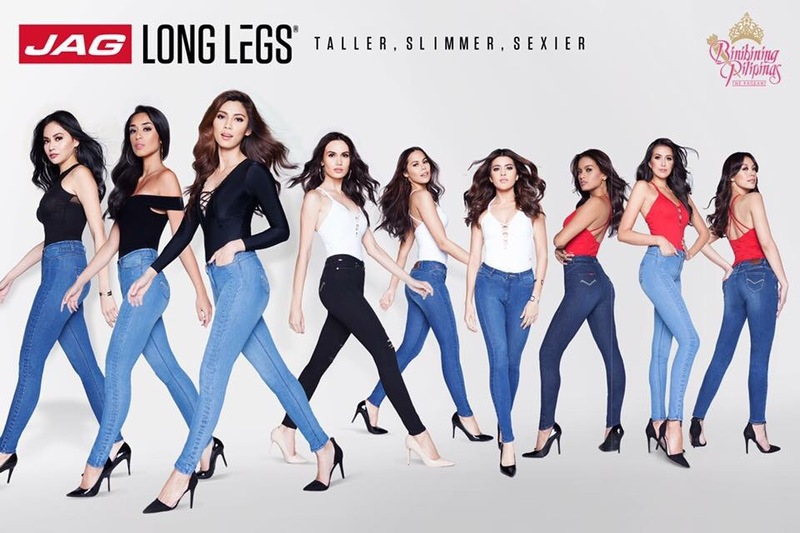 Pilipinas 2017, Dindi Pajares, Jehza Huelar, Jennyline Malpaya, Kylie Verzosa, Nichole Manalo, Novotel Manila Araneta Center, Pia Wurtzbach. It’s Throwback Thursday time, and with the clock ticking fast in the Bb. 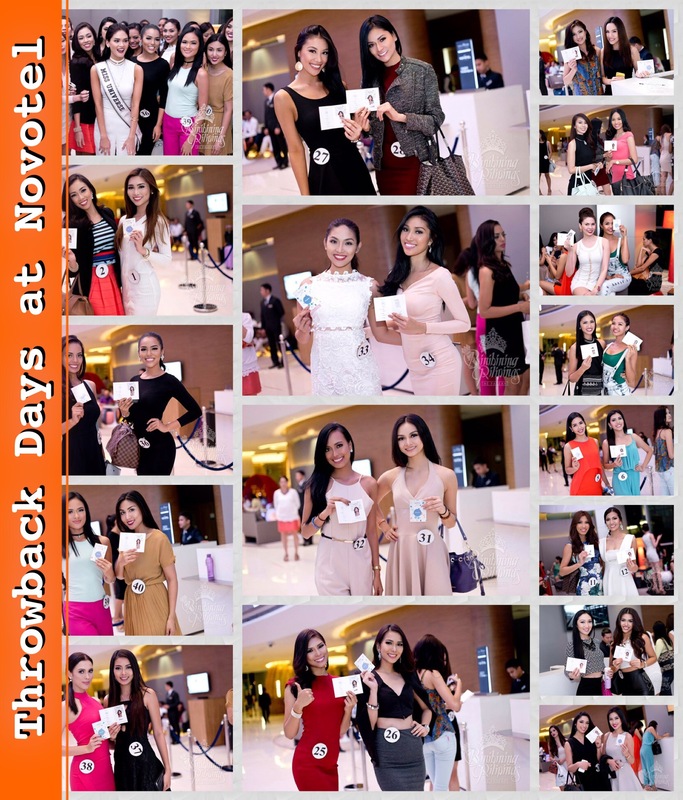 Pilipinas 2017 Coronation Night countdown, I decided to make a feature about last year’s Binibinis when they checked-in at the Official Residence – Novotel Manila Araneta Center – which is so conveniently located right beside Araneta Coliseum where the Big Night will happen. 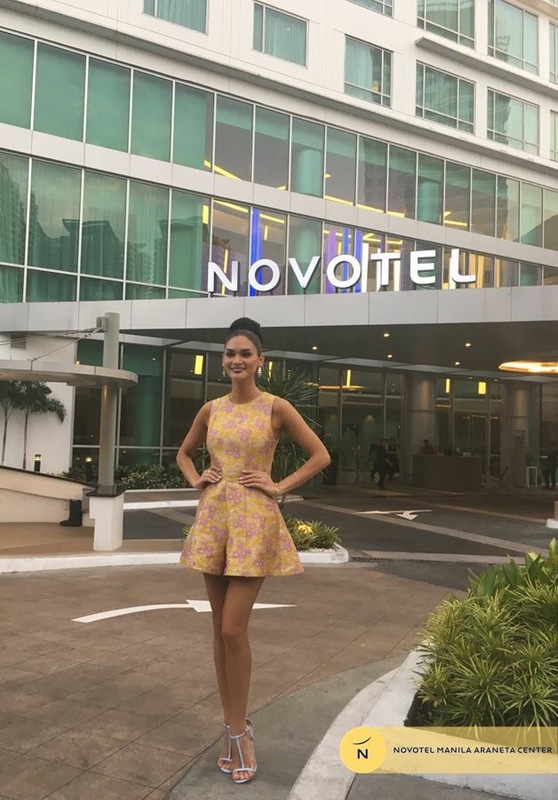 – Miss Universe 2015 Pia Wurtzbach checked-in as well and helped in formally welcoming the ladies to Novotel. We all know by now that Queen P will be hosting the finals this year. Anyways, I reckon that the Bb. Pilipinas 2017 Official Candidates will start checking-in at Novotel tonight or early tomorrow. After all, they will all grace the formal opening of the Ice and Cream outlet at the ground floor soon! 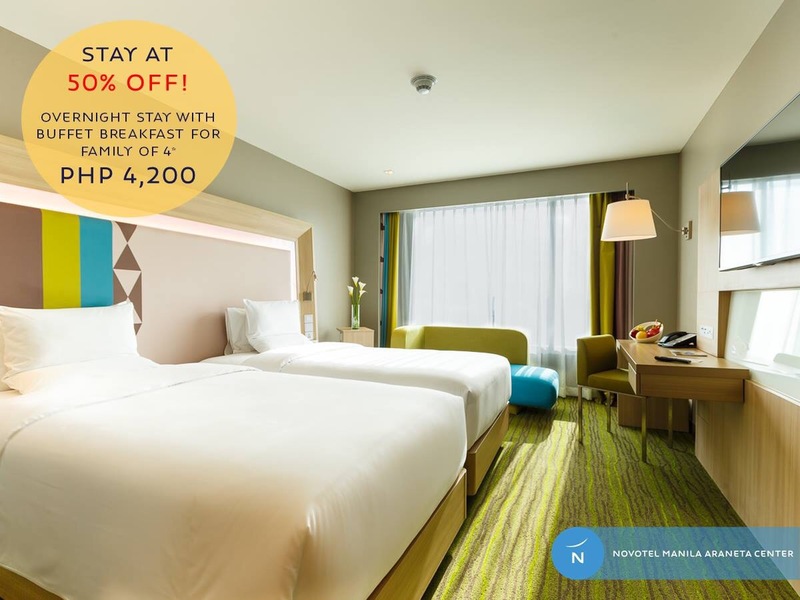 Now if you fancy staying at Novotel Manila Araneta Center over the long Labor Day weekend (lengthened by the ASEAN Summit being hosted in the country) and be a stone’s throw away from the finals venue, they have a treat just for you! 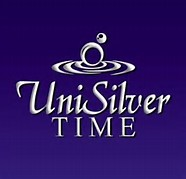 Time strengthens the bonds of family. Make time with loved ones with our Labor weekend treat – as much as 50% off for stays until May 1, 2018! Head to our booth at SM Megamall’s Mega Fashion Hall from April 28 – May 1 to avail our limited stay offer for Php 4,200 nett, inclusive of buffet breakfast for 2 adults and 2 kids ages 15 and below! 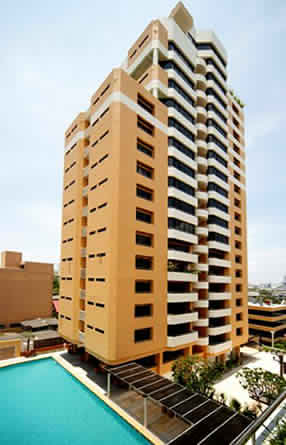 Call (02) 990 7888 or visit bit.ly/NovotelManilaLaborWeekend2017 for details. 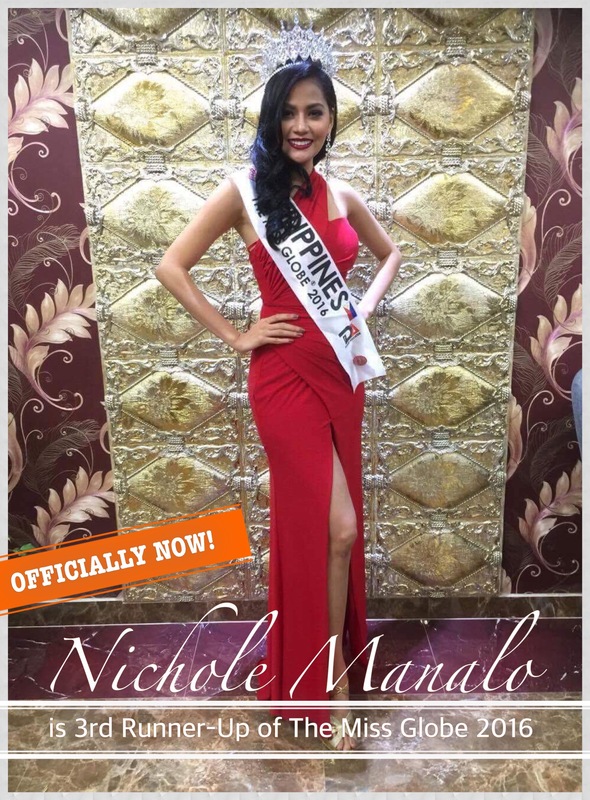 Officially Now | Nichole Manalo is The Miss Globe 2016 3rd Runner-Up! Posted in: 1 Pageant Pages, 2 Shout-out-Looks. Tagged: Bb. 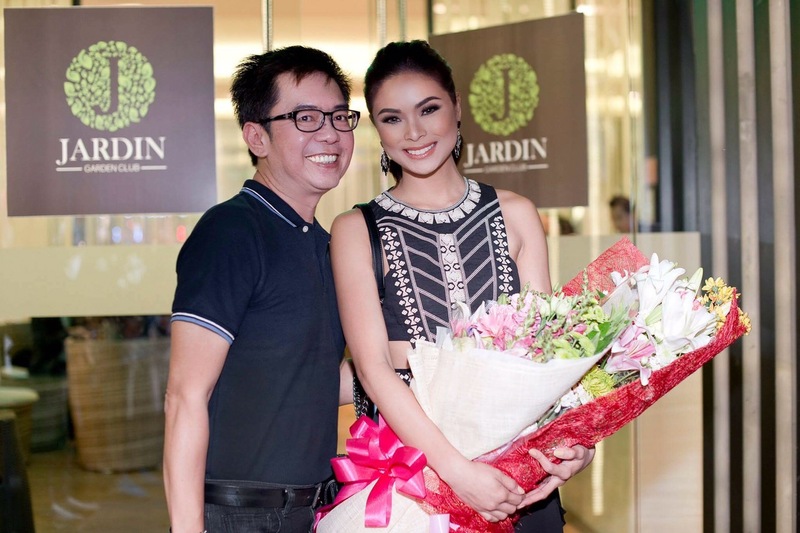 Pilipinas 2016, Nichole Manalo, The Miss Globe 2016. 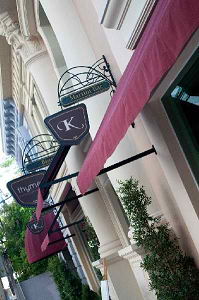 The photos is this blog post signify that Bb. 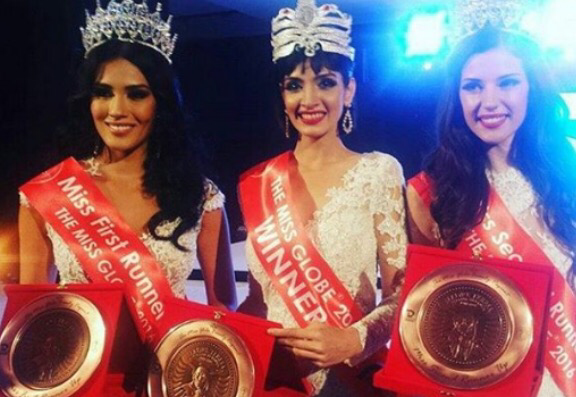 Pilipinas Globe 2016 Nichole Manalo is the official 3rd Runner-Up of The Miss Globe 2016. I know what your next question will be, dear readers. Why was the placement unannounced during the live finals that denied our Queen the special moment of being photographed alongside with the winners? Well, I wish I could give you a statement from the organizers. 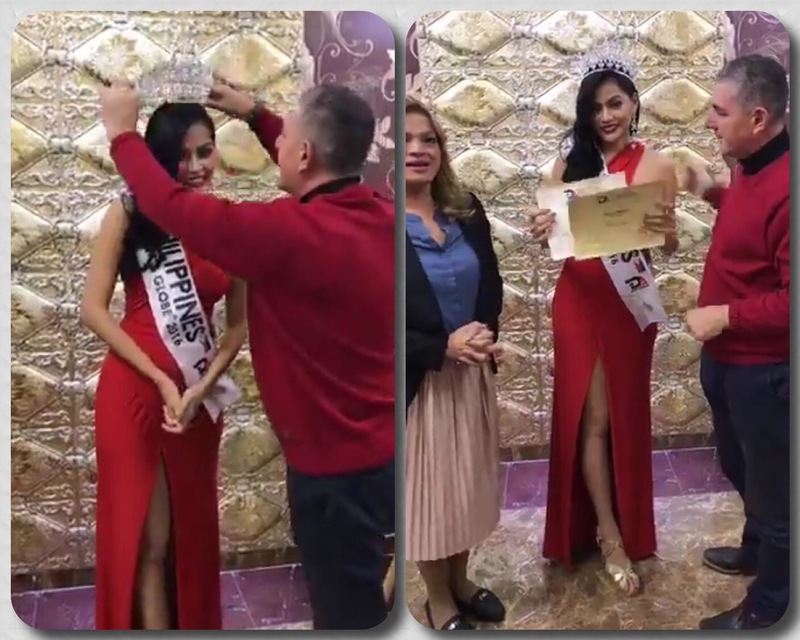 All I have are these images of Nichole with the 3rd Runner-Up crown. These were taken after the finals during a private moment during post-coronation when the organizers from Deliart Association made the informal crowning of two more runners-up. Miss South Africa was also named 4th Runner-Up. Click the link below for the video on FB. Nichole is now on her way back to the Philippines. At least we know what her final ranking is now, and with a 3rd Runner-Up crown to prove the claim. Posted in: 1 Pageant Pages, 2 Shout-out-Looks. 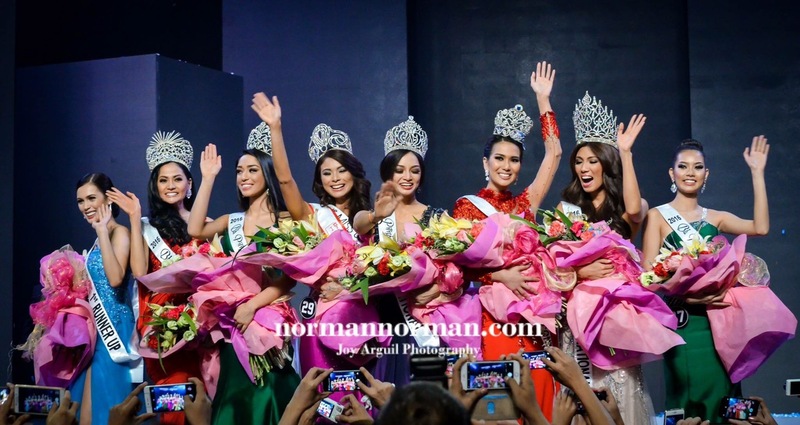 Tagged: Ann Colis, Dimple Patel, Kristina Skurra, Nichole Manalo, The Miss Globe 2016, Yenny Carrillo. 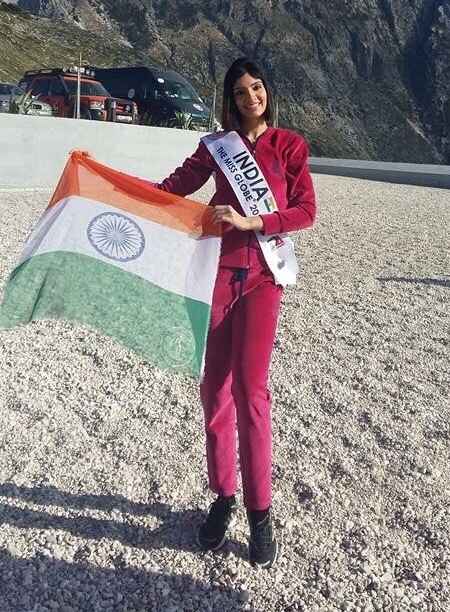 An Indian Supermodel was crowned The Miss Globe 2016 during the finals of the pageant in Tirana, Albania. 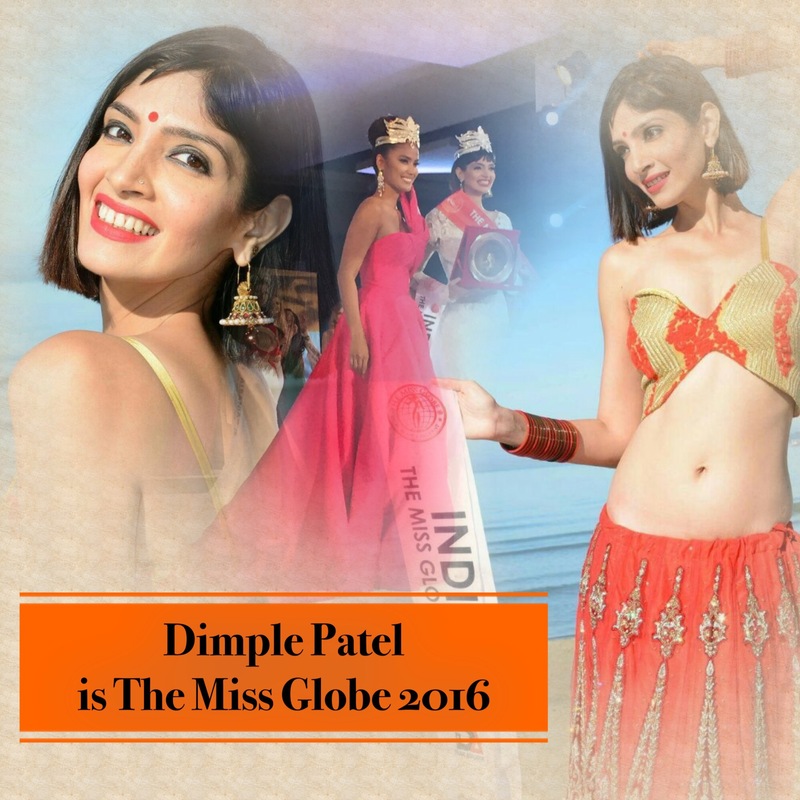 Dimple Patel succeeds last year’s winner Ann Colis of the Philippines. 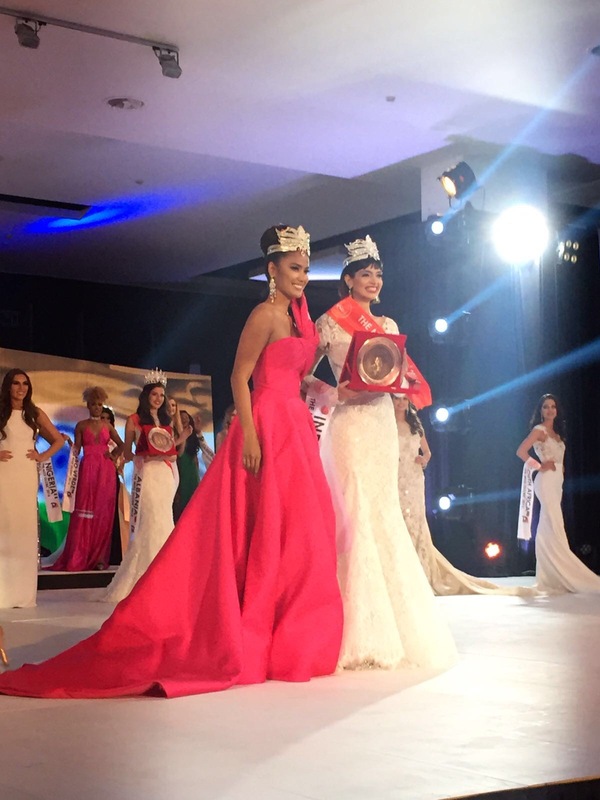 Yenny Carrillo of Colombia was named 1st Runner-Up, with host delegate Kristina Skurra getting 2nd Runner-Up honors. Miss Philippines Nichole Manalo finished in the Top 10 (or Top 11 if you will) and was also named Miss Dream Girl of the World (or the prettiest among the candidates).